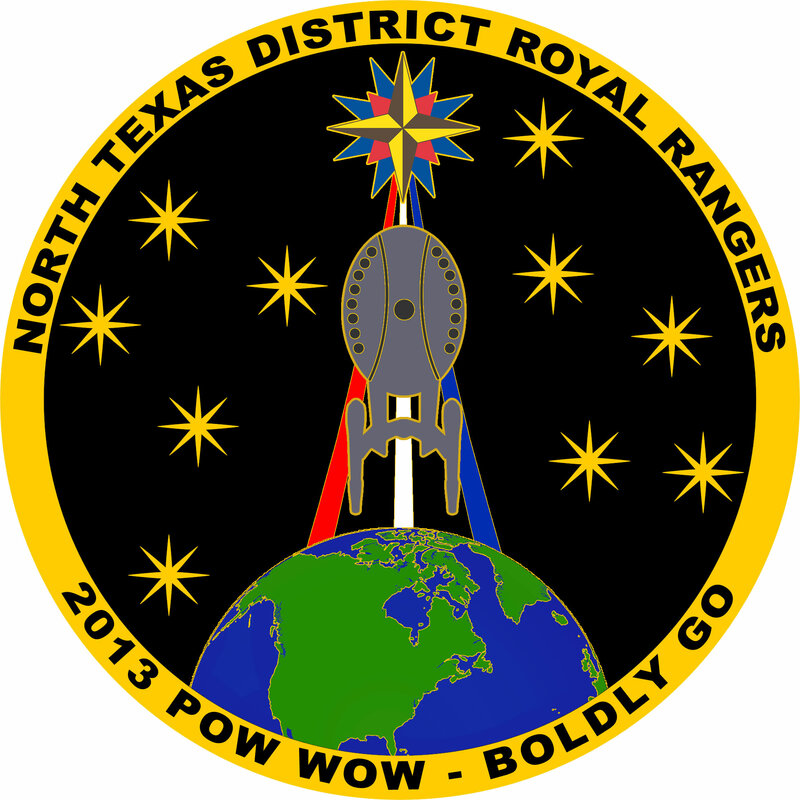 After providing an activity patch or hat pins as an incentive to boys to participate in the various scheduled activities at their Pow Wow and Winter Camp events for numerous years, the North Texas Royal Rangers, based on the positive feedback received from the 2012 Winter Camp challenge coin, decided to switch to doing a custom challenge coin for each camp. 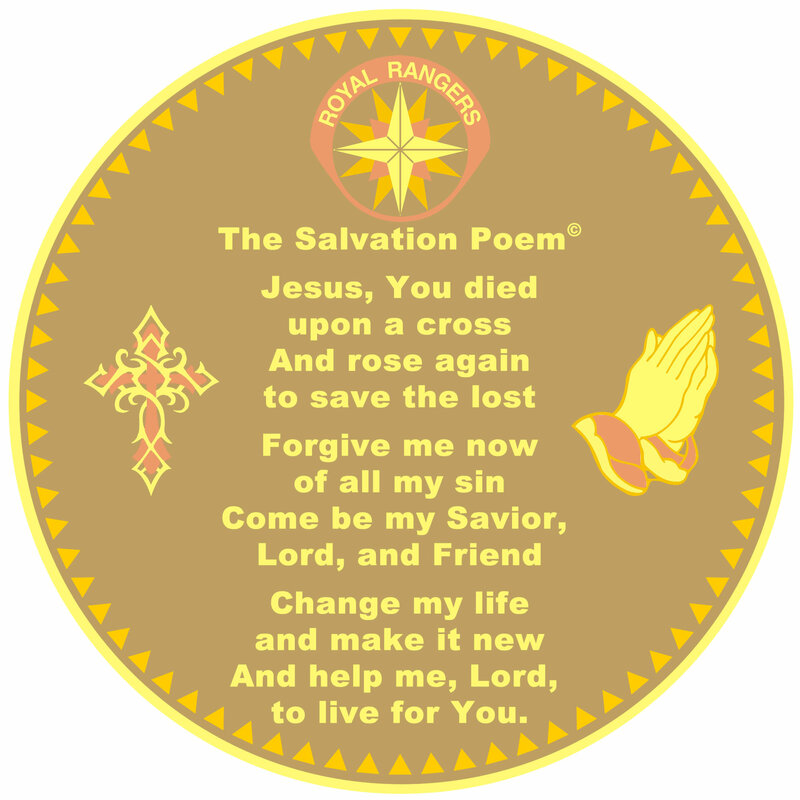 They entered into a licensing agreement with The Salvation Poem Foundation to use The Salvation Poem on the reverse side of challenge coins. Boys are able to use the challenge coins they receive to help lead their friends to Christ, which we have heard numerous stories of this occurring. On the obverse (front) side, I used artwork created for the event based on the theme “Boldly Go”, a Star Trek-inspired theme that ties into the Christian mission to go into all the world preaching the Gospel. On the reverse (back) side, is The Salvation Poem as well as a cross, praying hands, and the Royal Rangers emblem.